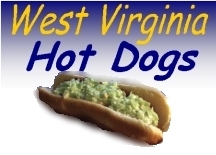 The West Virginia Hot Dog Blog: 101 Unique Places to Dine in W.Va.
101 Unique Places to Dine in W.Va. This list was published a few months ago and since then it has definitely increased my desire to go on food road trips around the state. But I quickly found out that some of the places on the list aren't so unique and some might be qualified as "unique" but also are not very good. Somebody has started a new web site that asks for input on the subject in the form of comments, and you can also complain about who was left off of the list. I would encourage you to head over there and post your thoughts about the places on the list. Your insight might save a fellow diner a lot of gas money. 8. Blues BBQ 1109 Jefferson Rd., South Charleston (304) 744-8335 Blues is famous for its mouth-watering barbecue and ribs, smoked fresh daily right on the premises and served in a casual dining atmosphere. Or, choose from a variety of specialty salads and sandwiches, then top off your meal with a delicious hand-spun milkshake. 10. Burger Carte Rt. 60, Smithers (304) 442-2071 This favorite has been serving up homemade hot dog chili and slaw, hand-patted hamburgers, pretzel dogs, sea dogs, funnel fries and broccoli bites for 40 years. 23. Der Dog Haus 2000 E. Seventh St., Parkersburg (304) 422-7703 Hot dogs, Thursday night ribs, great veggie soup, nightly specials, sandwiches, salads and much more. 32. Fatbob’s Roadhouse Diner4924 MacCorkle Ave. SW (inside Harley-Davidson of WV), South Charleston (304) 768-1600 http://www.wvharley.com/Pull up a seat and enjoy the camaraderie of the employees at Fat Bob’s. They’re sure to make your dining experience fun and enjoyable..
39. Griffith and Feil Soda Fountain 1405 Chestnut St., Kenova(304) 453-4192 Hailing from the western gate of the Mountain State, Griffith and Feil Soda Fountain in Kenova serves a unique blend of fine food and West Virginia history. 45. Hillbilly Hotdogs Lesage, Huntington and Lavalette locations(304) 762-2458 http://www.hillbillyhotdogs.com/Hillbilly Hotdogs is famous for its “Homewrecker” and “The Doublewide.” The unique décor and friendly wait staff make your experience at Hillbilly Hotdogs one you’ll want to come back for. 48. Jim’s Drive In Rt. 60 West, Lewisburg(304) 645-2590 This drive-in restaurant with homemade food and curbside service has been in business for more than 50 years.. This family eatery specializes in mouth-watering barbecue and hot dog chili. 52. King Tut Drive-In301 N. Eisenhower Drive, Beckley (304) 252-6353 http://www.kingtutdrivein.com/You won’t want to miss this Beckley hot spot that was voted one of the “Top 55 Must See Places in WV” in 2004. The mouth-watering menu consists of pizza and sandwiches as well as full dinners – all of which you can either take home or eat right there in the car. Top your meal off with a slice of King Tut’s famous homemade pie. 62. Mayberry’s Restaurant 1481 MacCorkle Ave., St. Albans(304) 722-2660 Step back in time at Mayberry’s Restaurant where you can have the “best Coke floats in town.” The clean, friendly staff will make your visit a happy one. 65. Morrison’s Drive Inn 126 Stolllings Ave., Logan (304) 752-9872 World famous hot dogs, homemade onion rings and a glimpse of curb girl Sally Wall all await you at Morrison’s Drive Inn. Sally’s been serving some of the best hot dogs in the state for almost 60 years and still works a full schedule. Morrison’s earned the designations of “No. 1 Hot Dog Chili” and “No. 1 Hot Dog in the State of WV” in 2007 from http://www.wvhotdogs.com/. 71. Pinnacle Drive Inn Pinnacle Avenue and Rt. 16, Pineville(304) 732-7785 This long-established Pineville eatery may be best known for its hoagies and hot dogs. The Pinnacle Drive Inn never ceases to draw first-time visitors as well as its loyal clientele. 84. The Fresh Seafood Company 800 Smith St., Charleston (304) 344-1905 http://www.capitolmarket.net/Capitol Market, an old train station that was converted to a farmers market in downtown Charleston, houses The Fresh Seafood Market. Known for the “big fish sandwich,” The Fresh Seafood Market is a must-visit location for any seafood lover. 89. The Parkette Old Rt. 50/Old Bridgeport Hill Rd., Clarksburg(304) 623-0155 The Parkette has been a Bridgeport/Clarksburg area staple since the 1950s. Enjoy what generations of locals have enjoyed: great Italian and diner food. 97. Top Spot Country Cookin’7139 Sissonville Drive, Sissonville (304) 984-2816 http://www.topspotcountrycookin.com/If country cooking is what you’re looking for, then head to Top Spot in Sissonville. Award-winning chicken and dumplings, meatloaf, baked steak, fried chicken and cornbread are all on the menu. The waitresses are very friendly, courteous and considerate and will accommodate changes in orders without question. I can't believe that Mayberry's is so far down the list. I can't believe Fat Bob's is higher on the list than Hillbilly Hot Dogs. Fat Bob's is fine, don't get me wrong, but they're not even close to Hillbilly Hot Dogs. You misunderstand the numbers: They are keyed to the map and are alphabetical by restaurant name. But it gives me another chance to vent about the list: Whoever decided to put the list in this order was an idiot. That means you have to know the name of the place to find it on the list. I would have preferred it to be by location so if I found myself in Bugtussel on a Friday evening I could look at the list to find a unique place to dine there. You should share it with the bizymoms Huntington community.